So I’ve been doing this whole Eat to Live diet for a few weeks now and this week I was just dying for some dessert. I guess that’s the good thing about being gluten free: you can’t just eat any dessert that you feel like eating. So, I saved up for what I call my cheat day. I don’t go crazy on cheat day, but I save special treats for cheat day like a cup of coffee with coconut creamer in it and dessert. 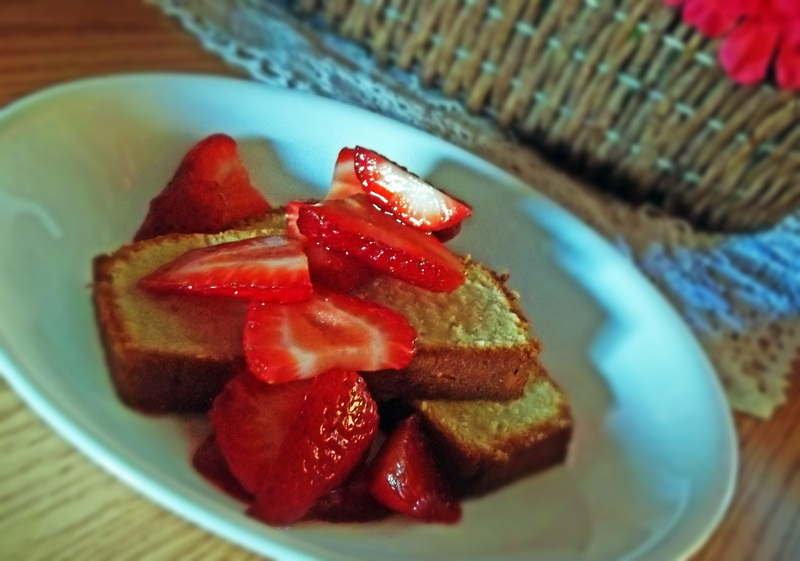 The strawberries are starting to go on sale this time of year, so I was jonesing for some pound cake. This is a great recipe. You really wouldn’t know it’s gluten free unless someone were to tell you. 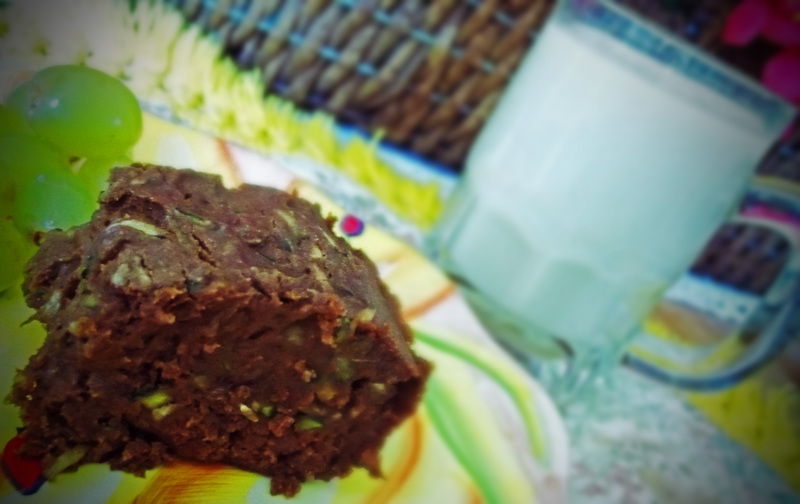 It has that slightly spongey texture (which is not often found in gluten free products) and that silky kind of mouth feel to it like regular pound cake has. This is kind of a half of a pound cake: I didn’t use a full pound of butter or sugar in it, but it’s still tasty. Give it a try. Enjoy! Preheat oven to 375º. 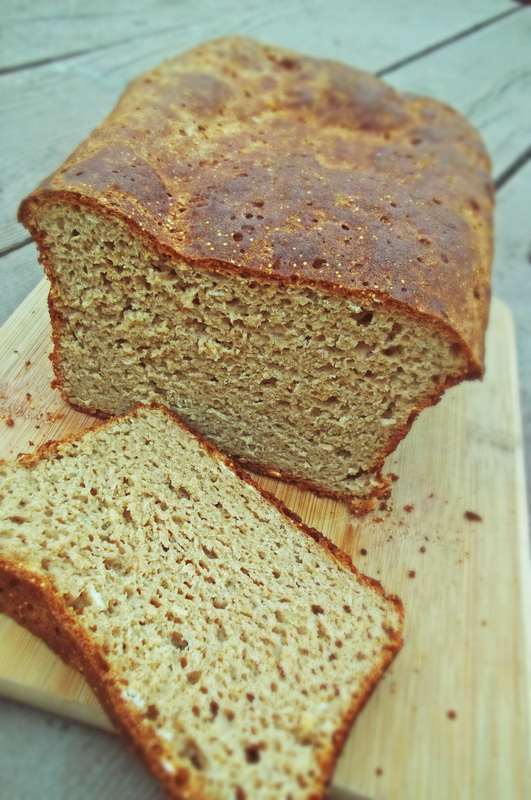 Prepare a 9x3x5 inch loaf pan with non-stick cooking spray. In a large mixing bowl, cream together butter and sugar. 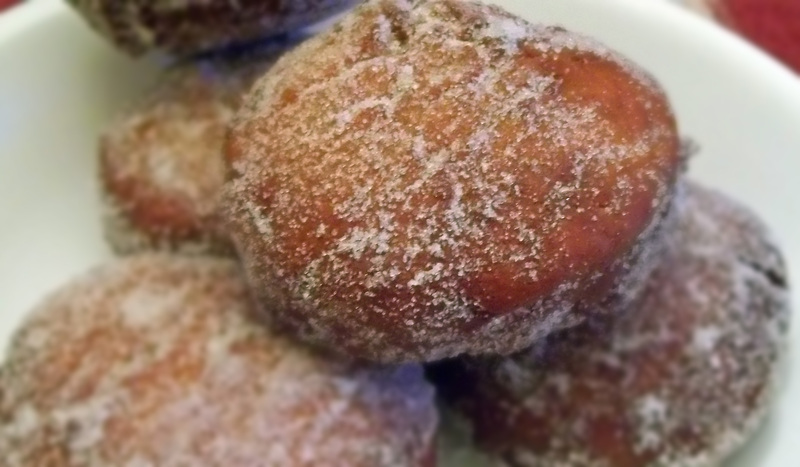 When fluffy, add in eggs one at a time and beat thoroughly. Add in the almond extract, lemon juice and lemon zest. In a medium sized mixing bowl, mix together the remaining ingredients. Add dry ingredients to butter mixture and mix on medium speed for about 2 minutes until well mixed. Add mixture to prepared loaf pan. Bake in preheated oven, on middle shelf, for about 60 minutes, until toothpick inserted comes out clean. Let cool slightly before removing from loaf pan and cool on cooling rack before slicing. So I’m in this mode of trying to get the health book done by the end of June and then I’ll be able to get it published. 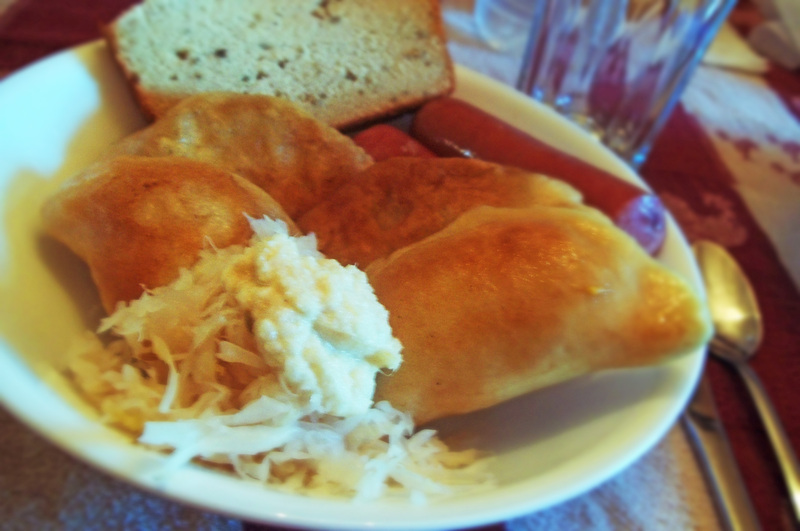 This is another recipe from the book. Actually, this is the gluten free option of the recipe. The original recipe calls for panko bread crumbs and the gluten free option uses bread crumbs made from gluten free bread. 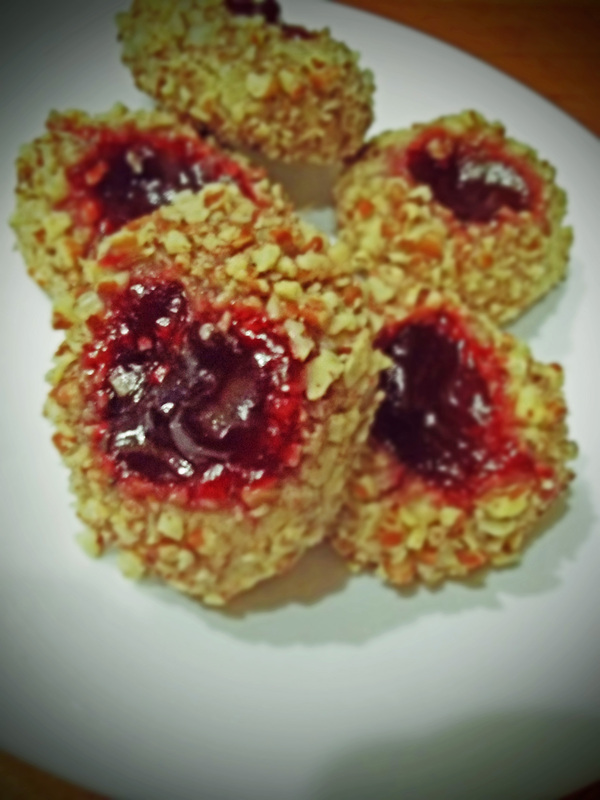 My kids loved this recipe. Hope you do to. Partially freeze mozzarella sticks, for about 15-20 minutes in the freezer. Preheat the oven to 400º. 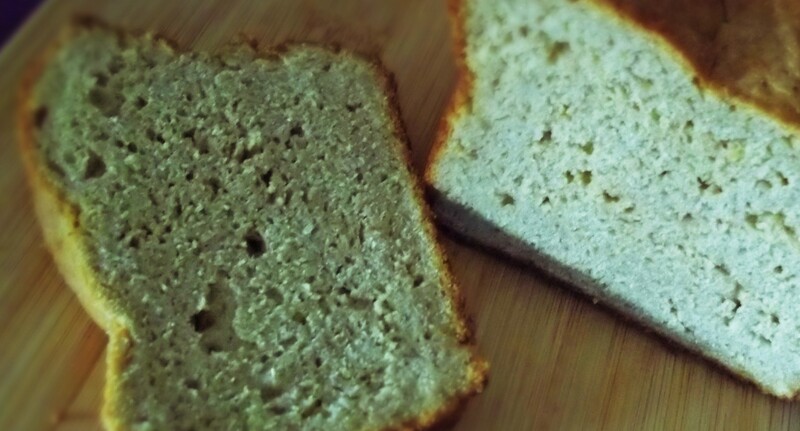 To make the gluten free bread crumbs, put the gluten free bread into a food processor and process until crumbs. Place on a baking sheet and bake in oven until slightly brown and dried, about 5 minutes, and let cool. Spray a baking sheet with nonstick cooking spray. Pour the flour into a small plate and season with a pinch of salt and pepper. Roll each cheese stick in the flour. Place breadcrumbs and Italian seasoning into a zipper top bag. Pour the egg substitute into a shallow dish. Dip each cheese stick in the egg substitute and then transfer to the breadcrumbs and shake to coat. Coat all the cheese sticks this way. Dip coated cheese stick a second time in the egg and coat again with the bread crumbs. 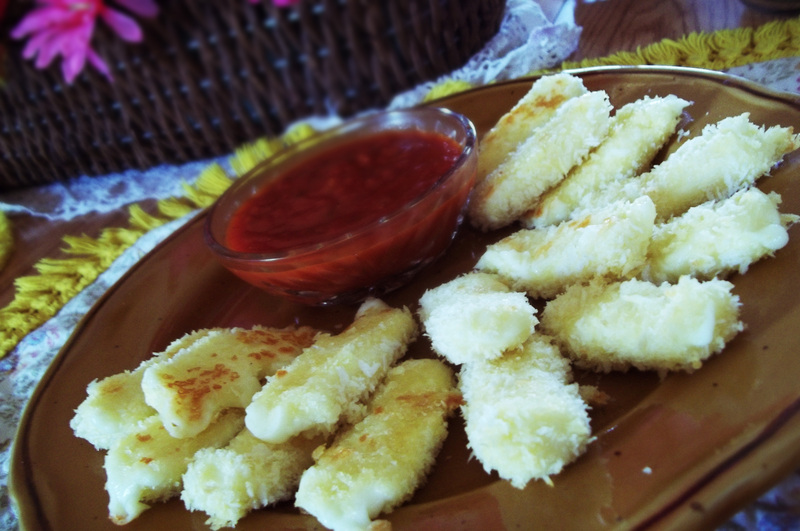 Spritz each cheese stick with cooking spray. Bake in preheated oven 5-6 minutes, until cheese is bubbly. Serve with your favorite marinara sauce. Makes 8, 2 stick, servings. So, I’ve been doing this vegan diet, Dr. Fuhrman’s Eat to Live diet. 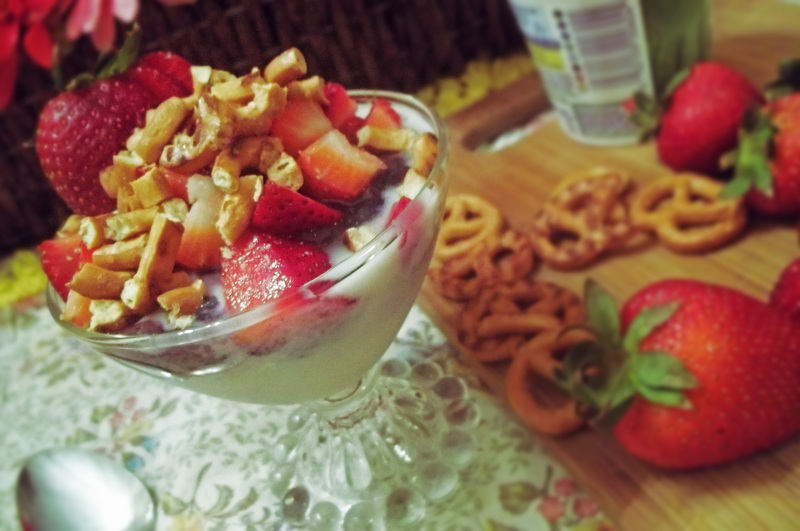 I chose Sunday as my ‘cheat day,’ where I would have some treats without going nuts. 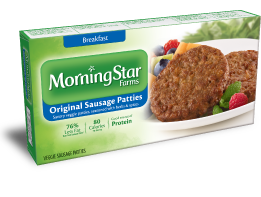 I decided to have some Morningstar Veggie Sausage Patties for breakfast as a special treat. I didn’t even read the ingredients. I’m almost always careful about things like that. During church, I started to feel sick. By the time I got home, I was in real gastric distress. Yuck! I felt horrible. To coin a term from Amanda on http://celiacandallergyadventures.wordpress.com/, I felt like I had been glutened. I couldn’t imagine where I could have eaten any gluten. Then I remembered that I had the veggie patties and sure enough, the number one ingredient was wheat (in the TVP). Duh! The number one ingredient: not even hidden in something like modified food starch. Another rookie mistake. Oh, well, you live and you learn. Moral of the story: read the ingredients! By the way, my way of dealing with being glutened is to take a big glass of metamucil, drink lots of water, and maybe some tea. 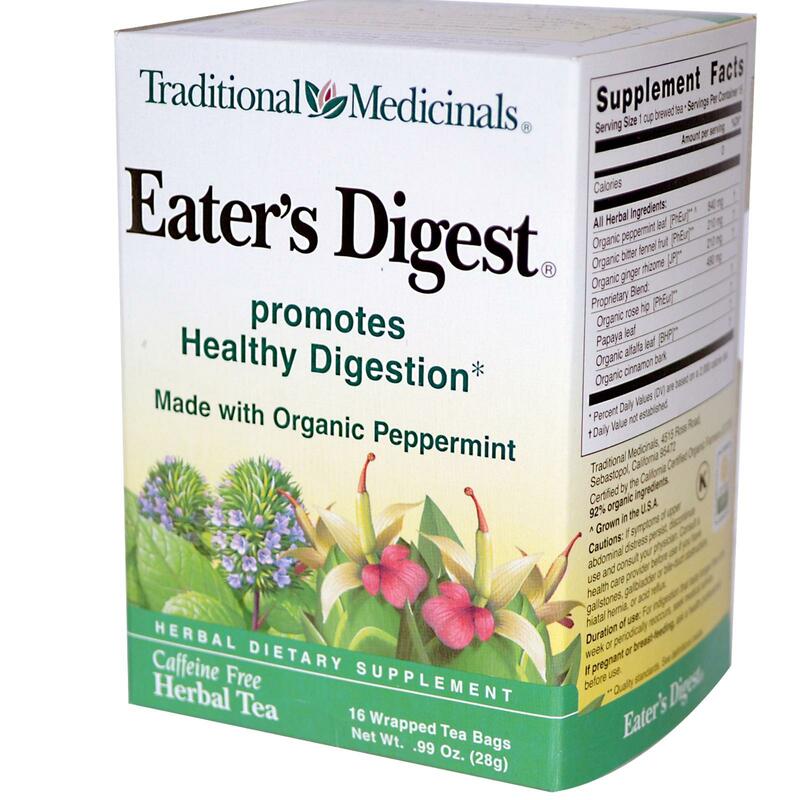 My go-to teas are Traditional Medicinal’s Eater’s Digest tea with a bag of dandelion root tea thrown in. I also like licorice root tea and in the summer and fall, I’ll have fresh peppermint thrown into some boiling water for tea. I know there are some medicines out there to use, but I prefer the flush it out and soothe the stomach route.